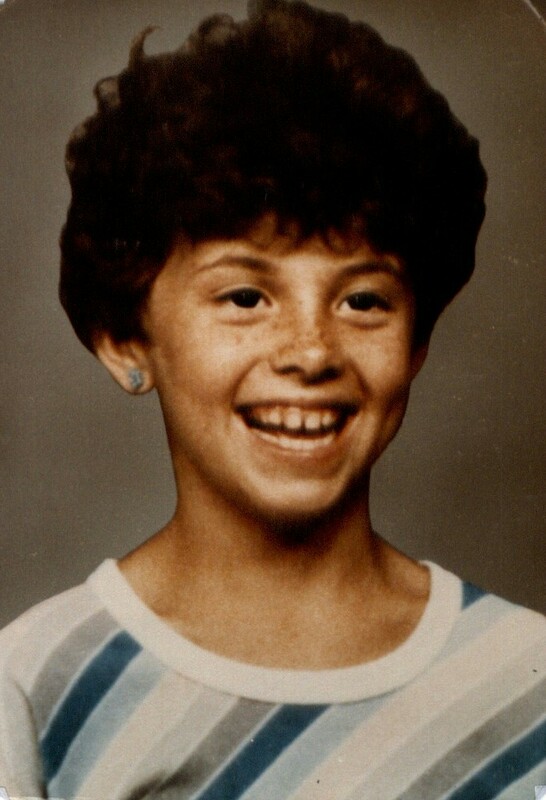 29 years after her death, Vicki Lynne’s killer gets a hearing | KVOA.com | Tucson, Arizona. Thank you KVOA’s Kristi Tedesco & Samantha Ptashkin for your coverage of last night’s Arizona Homicide Survivors candlelight vigil in honor of our loved ones. 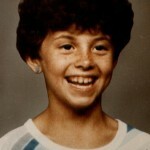 Article: Vicki Lynne remembered 10 days before killer’s hearing | KVOA.com | Tucson, Arizona. Keeping Tucson clean one mile at a time! It’s time for the quarterly cleanup of SR-77, mile 89-90, “Don’t Forget Vicki Lynne” 2/2/76 – 9/17/84 . Our family has joined with two others to keep three miles of highway clean in north Tucson in memory of our loved ones. We break into groups, if you show up to do Vicki’s mile, you will actually be cleaning up her mile. The date has been set for 8:00 am on Sunday, September 29th, 2013. My sister, Carie, has taken over the primary responsibility for the mile in honor of Vicki as our parents are now here in Montana. With the help of our brother Brian, they can use a few volunteers to clean the mile. We ask that if you can attend that you meet at Anthony & Crystal Cillittos house at 8:00 am. You can shuttle over to the mile sites from there. Please do not hesitate to contact me directly with any questions you may have. Our family is so incredibly grateful for those who can help us give back to our community. On Friday, September 27th at 6:30 pm Arizona Homicide Survivors is having a candlelight vigil to remember those we have lost due to murder. 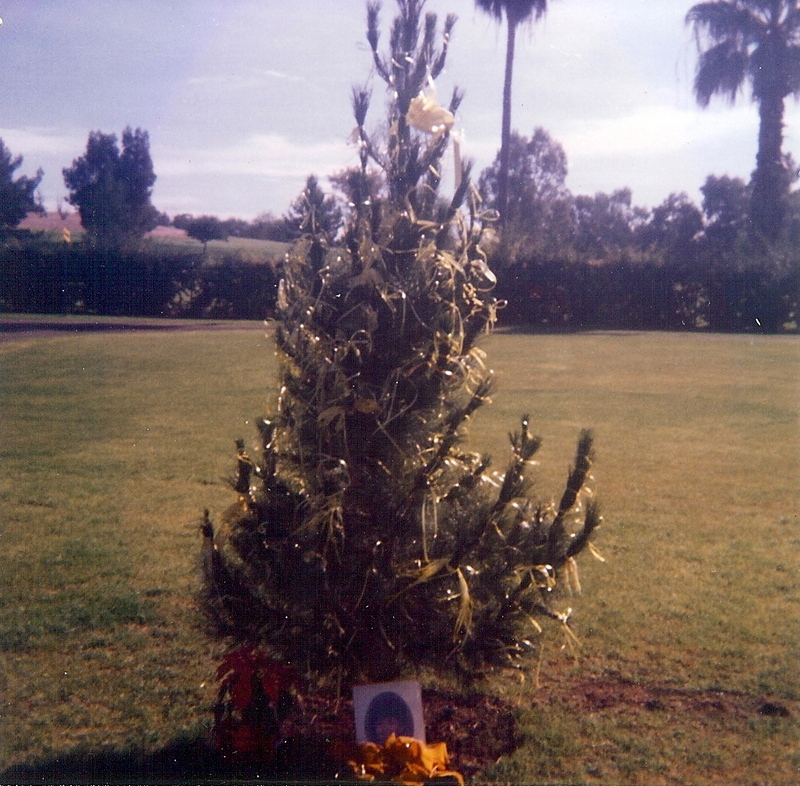 It is a way for us to honor our loved one, and meet other survivors. We are inviting our Arizona family & friends to attend not only in support of Vicki Lynne, but for all those who have lost their life in such a tragic way. 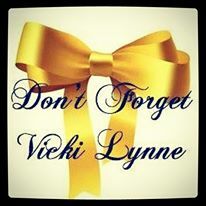 We encourage you to wear your Remember Vicki Lynne T-shirts or a yellow ribbon on her behalf. The Vigil will take place at Reid Park, ramada #3, east of the rose garden by the big lake. Candles will be provided by Arizona Homicide Survivors and they will also be displaying memory boards of our loved ones. Arizona Homicide Survivors has supported our family for the last 29 years. They are a wonderful organization that helps people when they are faced with unspeakable tragedy. I hope that you can help us show our support back to them for all that they have given to us. Follow them on Facebook or http://www.azhomicidesurvivors.org. It’s hard to imagine that day was 29 years ago, sometimes I feel it like it is now. 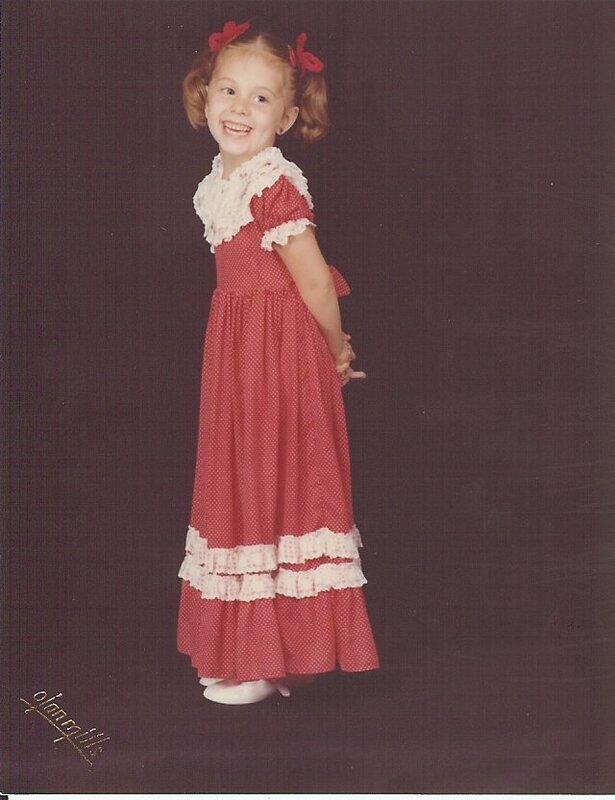 As another year passes, I would like to take today to honor the anniversary of Vicki Lynne’s death with stories and memories, whether you knew her or if her life impacted yours, I invite you to share. How Vicki died is not the most important part, it was just the beginning of many things. How Vicki continues to live in our hearts and how she touches our souls is so much more. I see her in the faces of my two girls everyday, especially in my youngest daughter, Mackenzie. She has her Aunt Vicki’s blue eyes, her freckled face, her gapped tooth smile, and witty personality. 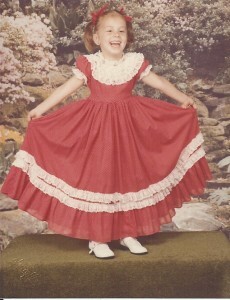 Boy, can she entertain you… just like Vicki used to… Mackenzie also has her love for softball. Last Wednesday night they got their team shirts for fall league, Mackenzie is sporting a pink #8 … Vicki’s favorite color and the age she was when she left us. And, although Madison favors me in her appearance, she has many mannerisms that remind me of Vicki, the way her eyes look at you, how she giggles and how gentle her soul is. These are daily gifts that bless my life. 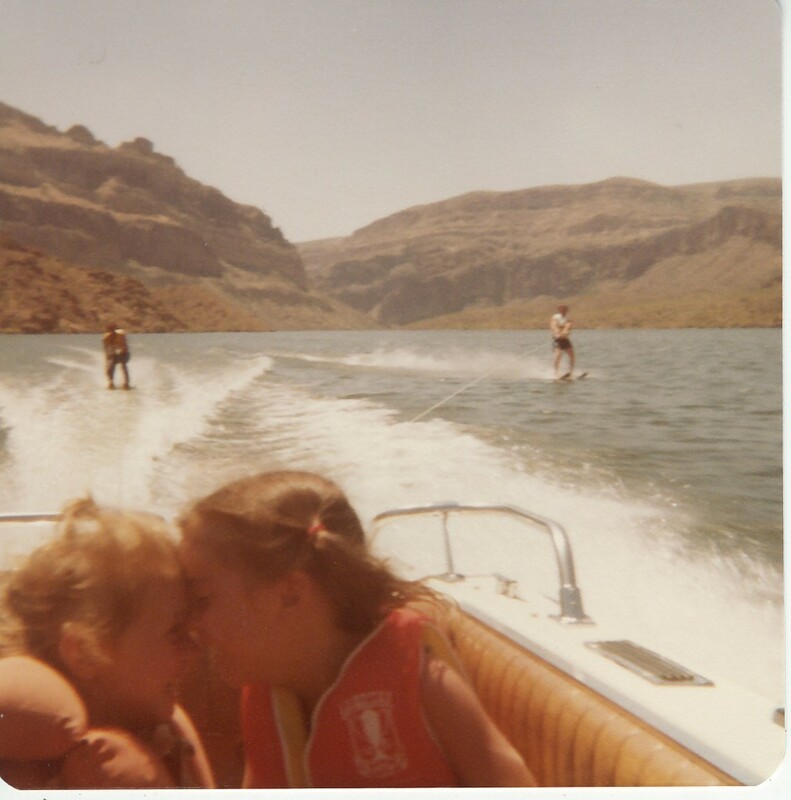 And, I have many memories to share … but if I were to share one of our favorite things to do, it comes from a picture that caught us nose to nose sitting in the back of our boat at Apache Lake (AZ) with our father skiing behind us. We loved going to the lake, swimming, playing, water skiing but laying underneath the night sky counting the stars above tops my favorites. I still find myself staring off into the sky at night and waiting for a shooting star, which I know are her gifts to me.